It's time for a very important 2015 recap, brought to you in part by the British stud who has a smile that could end world hunger: Tom Hiddleston, of course! *Cue the cheers* Not only is Hiddleston an incredible actor, hilarious impersonator, and a male human of the tall variety, he's an outspoken advice-giver. A thoroughly prophetic gem. A wise old soul. To paraphrase Leslie Knope here (because why not? ): Tom Hiddleston, you're a genius, and your brain is almost as perfect as your face. Oh yes, a recap of 2015. 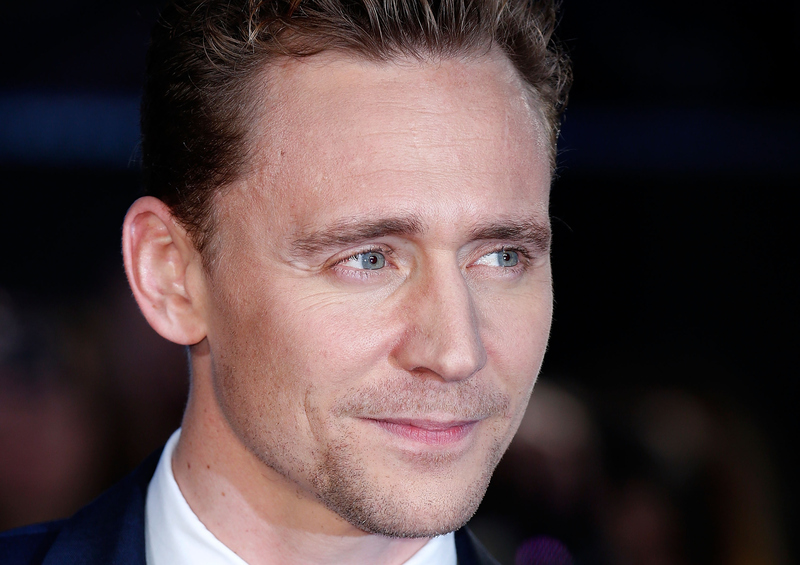 As told through the lens — or more aptly, the mouth — of Mr. Tom Hiddleston. Though Hiddleston's on screen characters are some of the best Hollywood has to offer, the actor has proven to be just as charismatic and impressive off screen. Not only is Hiddleston an outspoken activist for equality, a feminist, and proponent of living life to the fullest, he's basically already summed up 2015 without even trying. The résumé on this guy! Insane. "We are all responsible for the state of our world. The world — and the system by which we trade, share, cooperate and conflict — is clearly not working. We are only as strong as our weakest members," Hiddleston wrote in his Guinea field diary for UNICEF. Coincidentally, Trump turned this down as his official campaign slogan. "Complacency is the enemy," Hiddleston told GQ. Never stop questioning whether "The Dress" was either white and gold or blue and black. Because when you stop questioning that, you become complacent, and complacency is, well, see above. "You know, be yourself." And also, let others be themselves too. Old, but important adages to remember. "You can't really legislate for the decisions that your heart makes." Please notify any legislations that are still in doubt. "You look at the greatest villains in human history, the fascists, the autocrats, they all wanted people to kneel before them because they don't love themselves enough," Hiddleston said in an interview with Moviefone. The part he forgot to add was "or know how to spell Beverly." In his Guinea field diary, Hiddleston wrote, "Every day is a creative act, a step closer to becoming who you want to be." I think fans would agree that Zayn is on that path. OK, probably not, but maybe in like 50 years after this whole thing has blown over! In an interview with About Entertainment, Hiddleston confessed, "I never get afraid of things; I only get excited." Probably exactly how the llamas felt during their high-speed chase through Arizona. "I think we all see ourselves as the heroes in our own lives," Hiddleston told CinemaBlend. Is it wrong that Pizza Rat was also the hero in mine? Hiddleston offered this advice to Elle UK: "Honesty is a gift — to be honest about who you are and how you feel — because it encourages intimacy, and intimacy is really where it's at." So, be honest celeb couples! According to Hiddleston, it's important. Or something. Hiddleston wrote "I don’t think anyone, until their soul leaves their body, is past the point of no return," in his Guinea field diary. Just replace "until their soul leaves their body" with "lick doughnuts," and this becomes soooo true. Love you, Ari. Thank you Tom Hiddleston. For explaining 2015. And for your face, obviously.